If your passport has been gathering dust or if you travel often and have gotten lax about checking your passport, here are some changes that will be happening in 2018 that you should pay special attention to. The U.S. State Bureau of Consular Affair will begin holding events around the country to help first time passport applicants with the passport application process. Look for those to pop up in your area, as they will walk you through the process and make it easier for you. Rather than checking new passport rules and requirements on the sometimes outdated website, starting in 2018 updates will come via mail and email. Beginning on January 22, 2018, state issued driver’s licenses that don’t meet the REAL ID Act requirements will not be good enough to board domestic flights. Many states have been granted an extension, so it is important to check on your state. For example, Washington State currently has an extension until October 2018. You don’t want to get caught unprepared just flying to see Aunt Sue, so make sure you carry the appropriate ID. The FIFTH change is really a heads up about the length of time it might take to get a passport or renew your passport in 2018. The norm has been 4-6 weeks, but because the government made passports required for travel from the U.S. to Canada, Caribbean and Mexico back in 2007, the onslaught of travelers back in 2007-2009 rushed out get their passports are NOW expiring and requiring renewal. So it will be a busy year in the passport office. Give yourself plenty of time and also remember that most countries require your passport to be valid 6 months POST travel dates. For more than a decade Totem Travel has been an award winning Sandals agency and one of Sandals’ top travel agencies in the United States. In 2018 Totem Travel was again named “Best of the Best” travel agencies in North America. 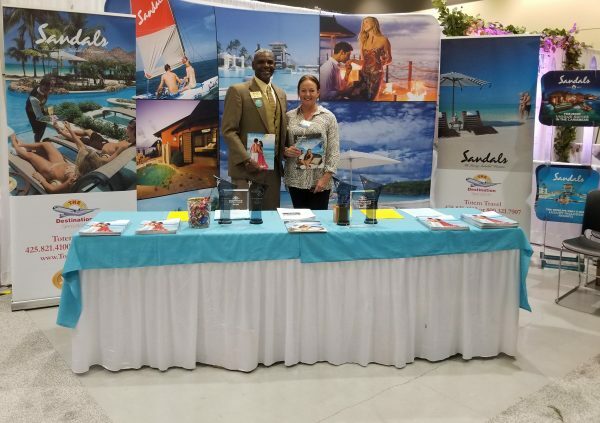 Linda Martindell and Patty Houghton are both members of Sandals prestigious Chairman’s Royal Club and Platinum Sandals Specialists and Linda is a certified Sandals Wedding Specialist. More importantly for clients, the Sandals Specialists at Totem Travel have been to all 19 Sandals and Beaches Resorts, we go back every year, keep up with all the changes, and provide expert advice and assistance at no extra cost. Totem Travel guarantees the lowest price on every Sandals package sold. We offer every special and deal you see online and more you may have missed. We can help with a split stay that makes your dream of an overwater bungalow at a Sandals Resort affordable or put together an island hopping vacation. We offer bundled air packages with reduced deposits; can secure free nights for anniversary couples; take 10% off any reservation for military, police or fire fighters; assist with returning guest promotions; and plan a tropical destination wedding for 2 or 200. So check out our blog posts about choosing the best Sandals Resort, comparing Sandals vs other all inclusive resorts or how to plan a destination wedding. Then call, email or request a quote if we can assist with an adult only all resort vacation, Sandals honeymoon or Beaches family vacation. We’d love to help! P.S. Hot off the press… Beginning February 14 wine and beer will be available in all Sandals rooms free of charge. Club Level rooms and Butler Suites will continue to have a full bar setup with a selection of hard liquor, wine, beer, champagne, mixers, fruit juices, sodas and water. If you are thinking about an active vacation in 2018 and would enjoy hiking, biking, cycling, kayaking or a multisport adventure you can get a big discount off some truly awesome and surprisingly affordable small group tours if you book in March. So NOW is the time to shop and plan your adventure. With this pre sale notice you have time to browse all the available itineraries, talk to friends and travel buddies, call or email with questions then make your reservations in March to secure 15% off all G Adventures active tours. A small deposit will secure the sale price and hold space until closer to departure, so you even have time to save for the trip. Sweet! Three super popular destinations I’ve explored recently are included in G Adventures’ early booking sale and I highly recommend they be added to your “must do” list. 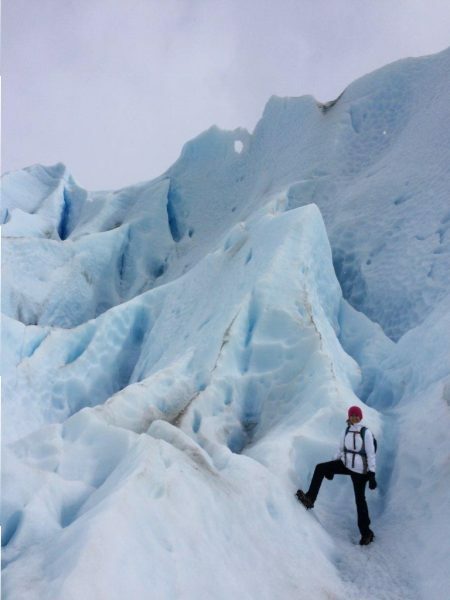 Patagonia – do not miss the Moreno Glacier or Torres del Paines! Machu Picchu and the Amazon – two incredible destinations you can do on the same vacation. 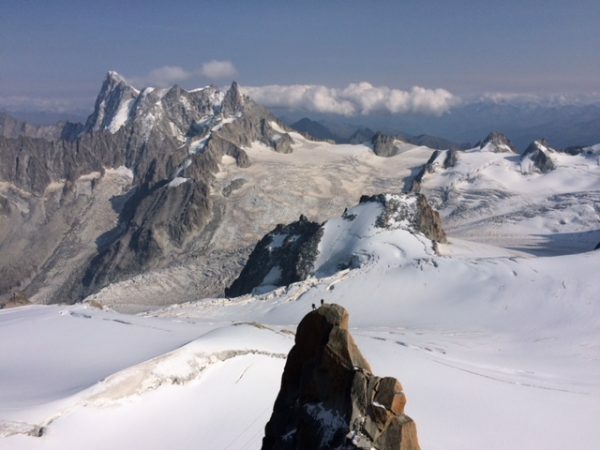 Mont Blanc – the finest in Swiss, French and Italian Alps hiking. 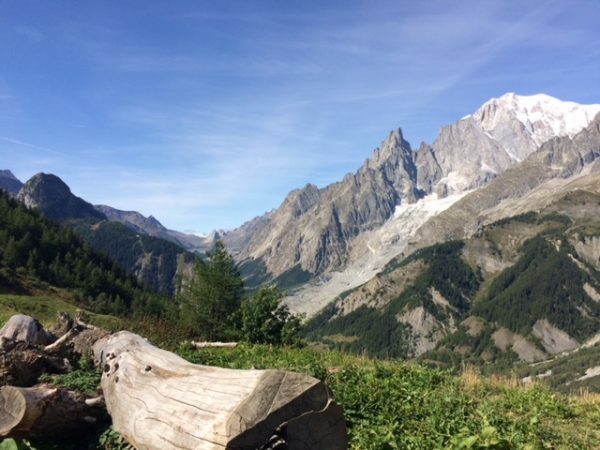 Other active adventures on my travel bucket list and on sale in March, are hiking the Dolomites in Italy, Iceland, and a hiking, kayaking and biking multisport adventure in Thailand. Still more destinations, like the Galapagos, are on sale in January and many classic itineraries in Europe, Asia and South American are 10-15% off for bookings made in April. You can even plan a private small group tour (all destinations) with discounts for as few as 8 in your party. 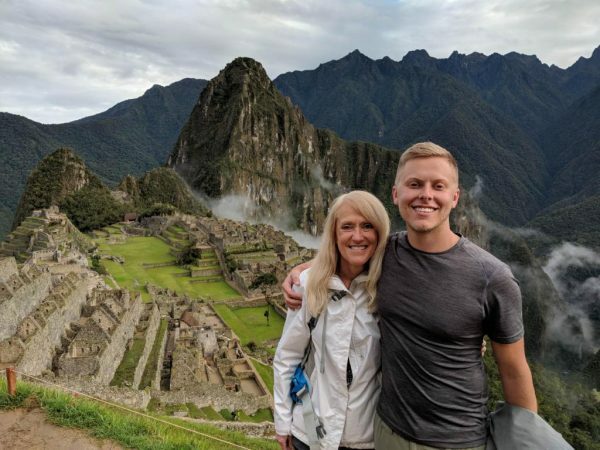 If you’d like more information on affordable small group adventure travel for all ages, vacations designed for 18-30 somethings or a small group guided tour in Europe, Australia, Asia or South America please call or email. I’d be very happy to share my experiences and help you find the perfect spot! Hot off the press! Sandals Resorts long promised overwater bungalows will open in St Lucia May 2017. Jamaica’s first overwater bungalows opened at Sandals Royal Caribbean last fall and I was fortunate enough to see them inside and out shortly after opening. They are gorgeous and, for the moment, the only overwater bungalows in the Caribbean, but in my well traveled opinion Rodney Bay’s calm turquoise water is a far better setting for an idyllic overwater bungalow experience so I am thrilled to see overwater bungalows opening at Sandals Grande St Lucian this year. Bora Bora still has my vote for the best overwater bungalows anywhere but there are no adult only resorts or truly all inclusive resorts in Bora Bora so that fabulous combination of features has been brought together along with Sandals butler service for those seeking a romantic couples only vacation, luxurious honeymoon or special anniversary. And speaking of anniversaries… Sandals offers one free night in addition to all the other great deals for couples traveling within 30 days of their anniversary. Restrictions do apply but they are not onerous so call or email if we can help you plan a special getaway. Perhaps an overwater vow renewal ceremony is in order? Check prices and specials or call or email us with questions. We’ll make it happen for you! As a lifetime travel junkie I’m always most excited about a place I’ve never been, so suffice it to say I can’t wait to touch down on a new continent later this year! 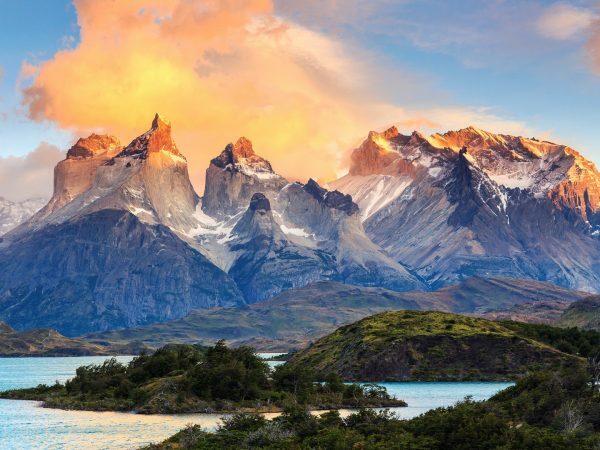 I’ll be exploring some of the world’s most beautiful natural wonders in South America including Iguassu Falls, Moreno Glacier, Mt Fitz Roy and Torres de Paines National Park. 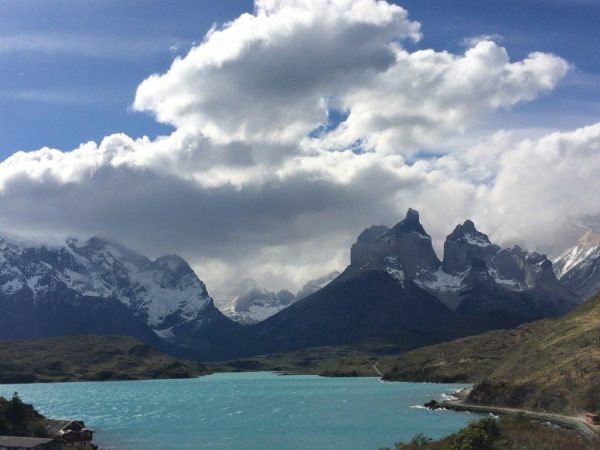 As a not so sneak preview I am sharing Conde Nast’s 50 most beautiful places in South America which includes four of my planned stops in Argentina and Chile. Check out #1, 9, 10 and 22 then watch for lots more photos and my personal accounts toward the end of the year. Soooo excited! Totem Travel was once again recognized as Best of the Best Sandals Travel Agency at Sandals’ annual STAR awards ceremony held at a favorite adult only beachfront all inclusive resort, Sandals Whitehouse in Jamaica. 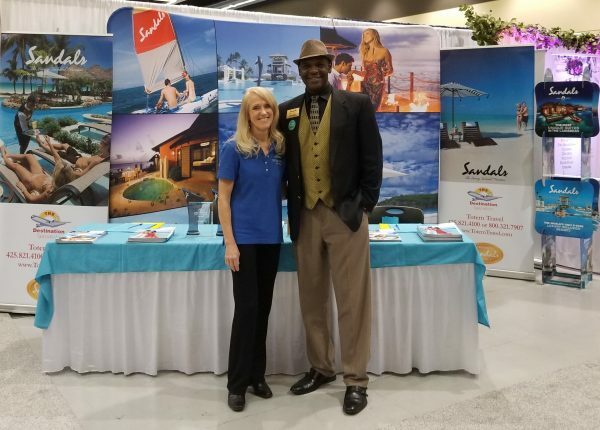 Totem Travel, located in Kirkland Washington, also retained Sandals’ prestigious Chairman’s Royal Club standing given to a small number of travel agents generating top sales for Sandals and Beaches Resorts located throughout the Caribbean islands. 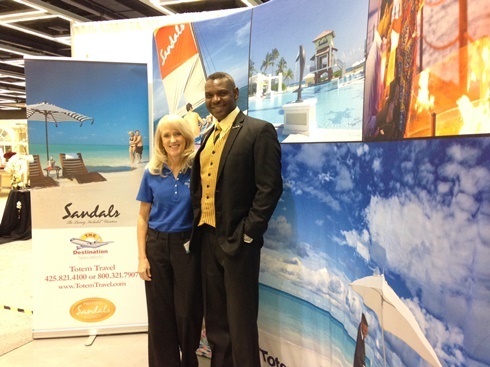 Totem Travel remained one of Seattle’s top travel agencies for 2015 as recognized by the Puget Sound Business Journal and participates regularly at the Seattle Wedding Show where owner Linda Martindell and top agent Patty Houghton help honeymoon couples choose the best all inclusive honeymoon based on their wish list and budget. 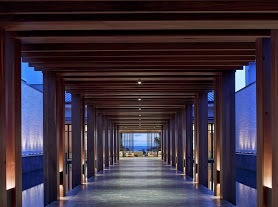 Totem Travel’s specialties are tropical destinations worldwide, Europe, Australia, New Zealand and Africa. Requests for a customized quote can be made online and appointments are available for complimentary in person and phone consultations. Call (425) 821-4100 or (800) 321-7907 or email linda@totemtravel.com. Most of our clients are headed to destinations like the Caribbean, Fiji, Costa Rica or Belize that require little more than a valid passport, but for an exotic locale like Africa or the Amazon medical precautions are often required and almost always advised. So where to start? Our suggestion is the CDC web site and a travel medicine clinic such as SafeGard for a comprehensive evaluation based on your individual itinerary and medical history. Their online questionnaire can be completed in a few minutes and for a minimal fee (mine was $49) you’ll receive a written recommendation covering everything from yellow fever to typhoid, malaria and traveler’s diarrhea with prescriptions that can be filled at your doctor’s office or pharmacy of choice. I was referred to SafeGard by a doctor friend that travels extensively and found their customer service outstanding. Highly recommended! Helpful Hint – I saved hundreds of dollars by having immunizations done at an “in network pharmacy” rather than my doctor’s office and a nearby Safeway pharmacy carried the hardest to find travel immunizations. 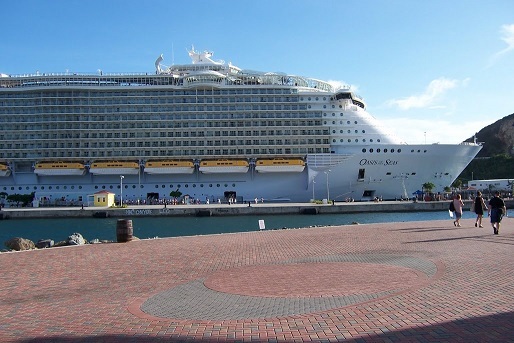 Cruise Free on Royal Caribbean this fall!! 3rd & 4th Free Promo: Freedom of the Seas, November 9th , Balcony cabin for 4 people: $3470 including all port charges and taxes! That’s for 4 people, not per person! Without the promo, this fare would be $4465! That’s a thousand bucks, folks!! This weekend starts the official honeymoon planning season in Seattle with the Pacific Northwest’s largest wedding show held at the Washington State Convention Center. Totem Travel will be there with up to 65% off Sandals all inclusive honeymoons, free nights and complimentary spa treatments plus up to $250 off Fiji honeymoons. We will have giveaways for all so we hope you’ll stop by and see us Saturday 10:00-5:30p or Sunday 10:30-5:00p. Click for dates, times and details then call or email to RSVP. Our travel agents are fortunate to have seen much of this wonderful world first hand and we enjoy sharing the magic and excitement of travel. So when it’s time for you to find the perfect honeymoon, plan your next adventure or choose the best family vacation we are here to help. Call us!